For almost 25 years, John Rice Irwin collected hammered and fretted dulcimers, fiddles and banjos, mouth bows and musical oddities. Most had been made by natives of the mountains and hollers of northeast Tennessee, southwest Virginia, western North Carolina and eastern Kentucky. 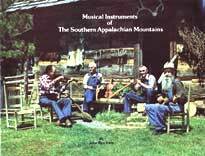 This book, with over a hundred black and white close up photos of the instruments, illustrates the ingenuity of the mountain folk who made, played, and owned them. Luther Hill's cigar box fiddle and Frank Couch's gourd fiddle (made in 1840), for example, stand beside octagonal, square, lard can, cheese box and wooden banjos. Rectangular, elliptical, and teardrop shaped mountain dulcimers and much more abound on these pages. Book includes brief histories of each type of instrument. Soft cover, 109 pages. 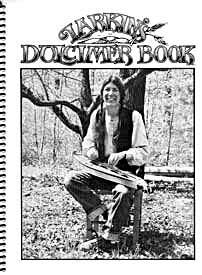 A friendly step-by-step method for beginning mountain dulcimer players written by nationally known dulcimer player and teacher, Larkin Bryant. The book covers all the basics: tuning, fretting, strumming, fingerpicking, chording and finger techniques. 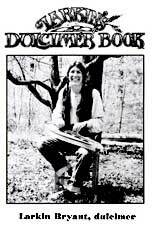 This classic set (the very first instruction book/cassette combination for dulcimer) continues to be very popular among dulcimer players and teachers. Beginner to Intermediate level. Spiral bound, 103 pages. The Companion Instruction Cassette and the newly available Companion Instruction CD are listed as separate catalog items. 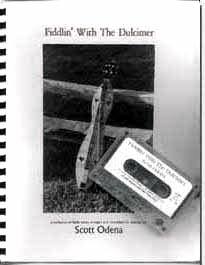 This teaching cassette (also available as a CD) is keyed to Larkin's Dulcimer Book and includes all the songs, exercises and techniques featured in the book. In the past half century, about 35 people have resurrected almost the entirety of recorded Black culture, from the first cylinders to the Petrillo recording ban. These include authors like Paul Oliver and pioneer folklorists like Harry Oster, but the three key things involved are all the recordings, all the numbers on all the recordings, and all the words, spoken and sung, on all the recordings. Document Records, whose founder, Johnny Parth, won a "Keeping The Blues Alive" award a couple of years ago, is a label dedicated to keeping in print the 20,000 or so blues and gospel recordings made between 1890 and 1943. Their catalogue is keyed to that bible of blues discographies known to collectors as "Dixon & Godrich". This exhausting feat is now being supplemented by similar ongoing projects Document is doing in Jazz, Gospel, and Old Time Music. Once again, each series is keyed to the best available discographies. In order to keep track of their 900 or so CDs, document has issued a comprehensive color catalogue printed on coated stock, in a four-ring binder, so that new pages can be inserted as they are issued. This catalogue contains articles by such notables as Paul Oliver, Keith Briggs, Gary Atkinson, Brian Rust, Paul Swinton and Gillian George. One special article shows hundreds of rare 78 labels in full color. Riverlark Music is the exclusive North American distributor of the Document Records catalogue.